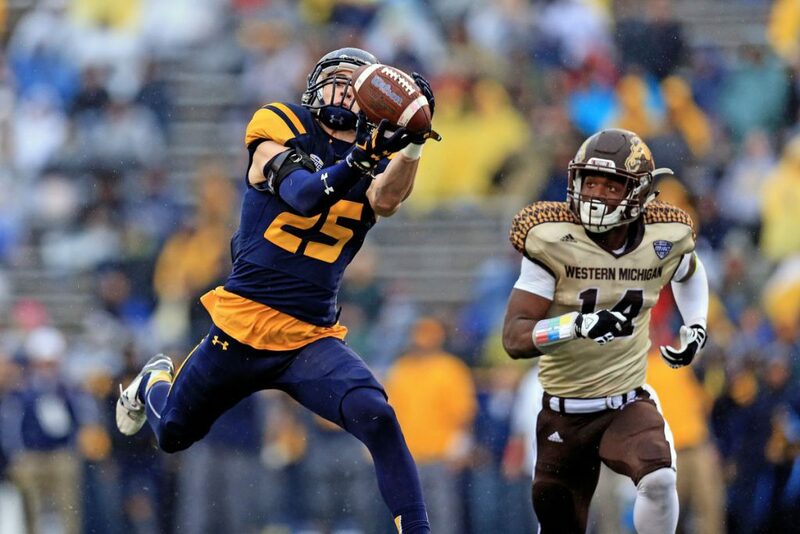 John Laub, the Gridiron Scholar, ranks his top Wide Receivers for the 2018 College Fantasy Football season! 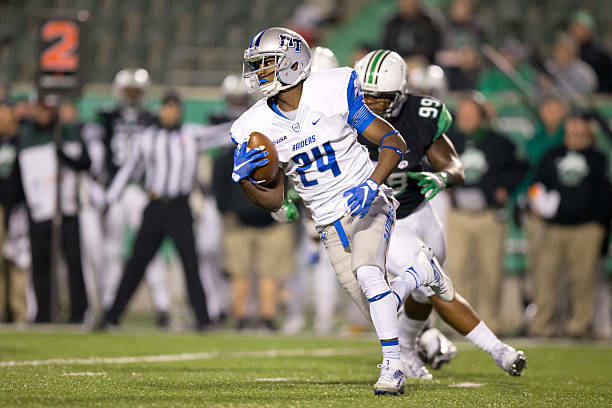 Penny Hart has had more than 1000 yards in 2 of the last 3 seasons (he was injured the 3rd). 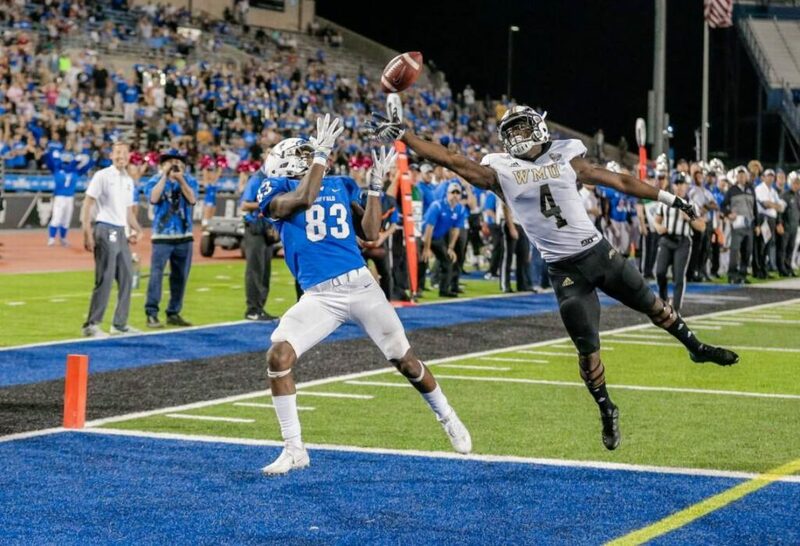 Look for him to lead the Sun Belt in receiving again as he finishes his college career. 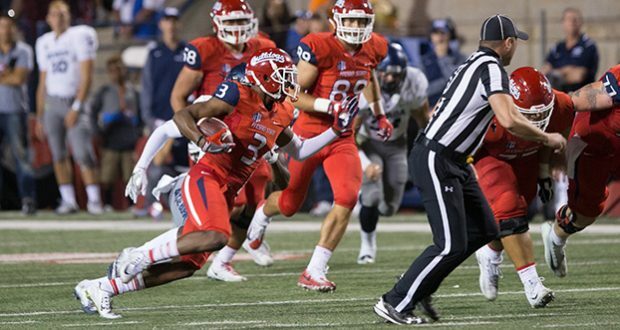 KeeSean Johnson, from Fresno St, will be looking to improve on his 1013 yard and 8 TD 2017 season. And as the #1 WR in a potent Bulldog offense that is a definite possibility. 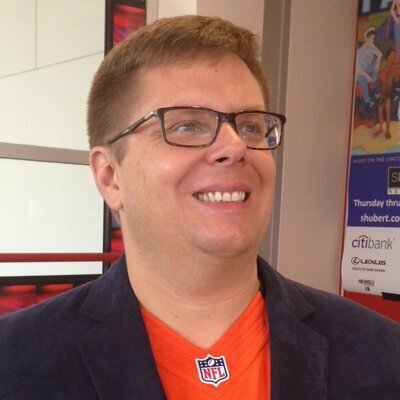 Teddy Veal was only 50 receiving yards short of 1000 in 2017. And a favorable schedule will help him in this season’s campaign. Veal should finish with at least 1000 yards and 10+ TDs. Devin Butler put up modest stats, as the 3rd WR in Syracuse’s offense, last season with 327 yards and 1 TD. But those numbers should skyrocket this season as he takes over the #1 spot. Following in the footsteps of Amba Etta-Tawo & Steve Ismael. Gary Jennings was great in West Virginia’s explosive offense last season. The Mountaineers almost managing to put 3 players over 1000 yards receiving (Jennings 1096 yards, Ka’Raun White 1004 yards & David Sills 980). Look for more of the same this season from Jennings and he definitely should improve on the 1 TD he had in 2017. Cody Thompson started last season with a bang. Putting up 4 straight 100+ yards games before a broken leg took him out for the rest of the year. He should definitely be able to pick up where he left off and finish with more than 1000 yards. 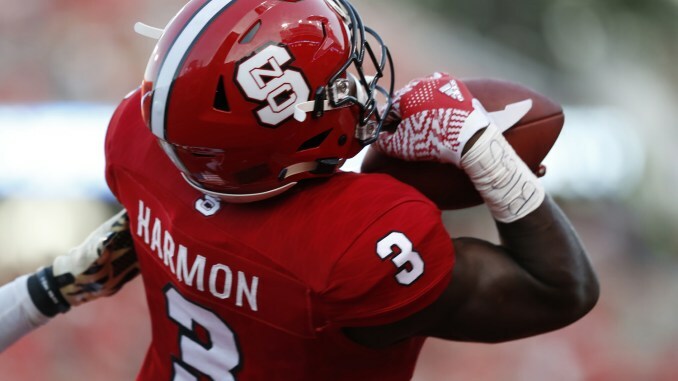 The NC State Wolfpack lost more than 130 targets when Jaylen Samuels and Nyheim Hines moved on to the NFL. And a big chunk of those should go to Junior Kelvin Harmon. He had 6 games of more than 100 yards in 2017 and should be able to surpass that total in 2018. 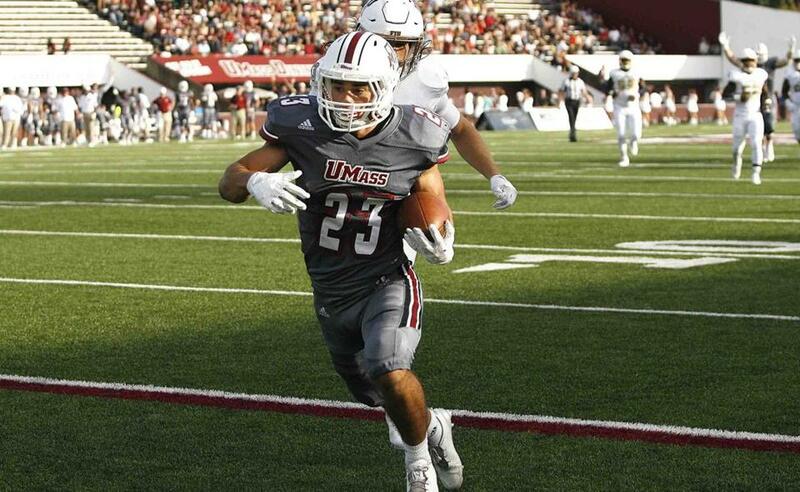 Ty Lee was not quite able to reach 1000 yards last season (955). 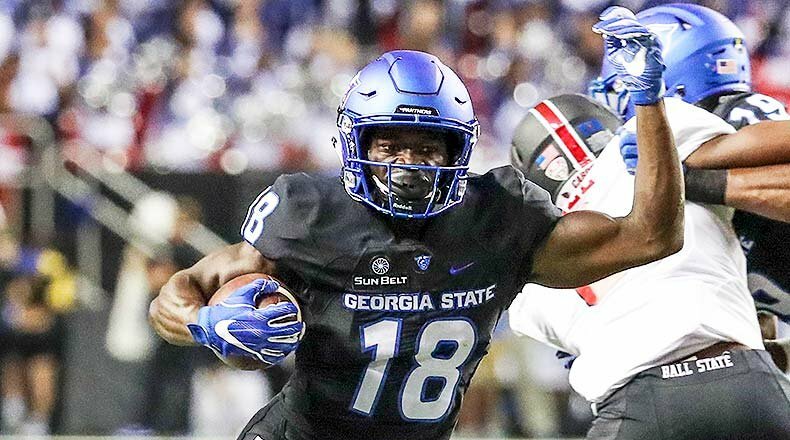 But with QB Brett Stockstill returning for his Senior season, and former #1 WR Richie James now playing in the NFL, he should easily finish with 1000+ yards and 10+ TDs. 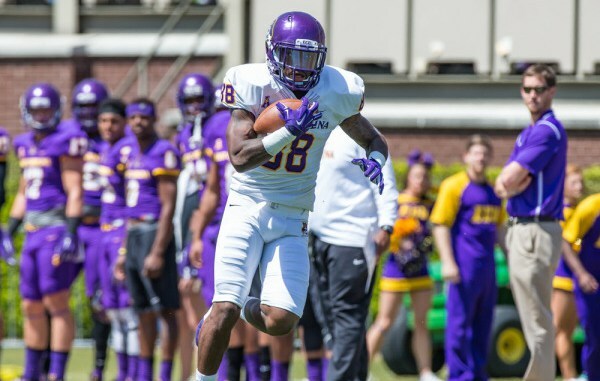 Trevon Brown had 1000+ yards and 7 TDs for East Carolina in 2017. Those numbers should go up as Brown tries to follow in the footsteps of Zay Jones and Justin Hardy. 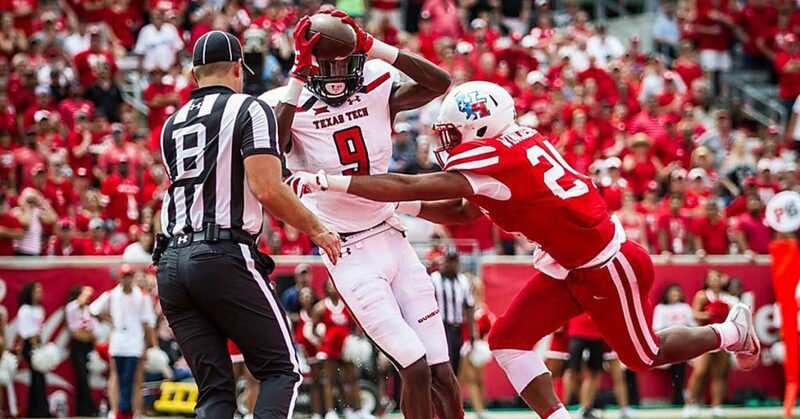 The Texas Tech offense always produces top end WRs and this year it should be TJ Vasher. Look for him to easily surpass the 545 yards and 6 TDs from 2017…possibly more than double them. 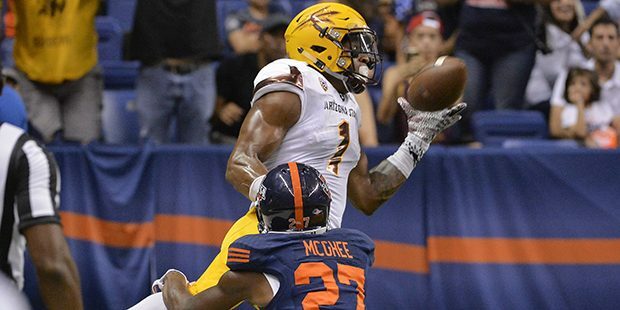 N’Keal Harry is one of the best WR in the country. He should not have any trouble going over 1000 receiving yards and 10+ TDs this season. As long a new coach Herm Edwards remembers to keep throwing Harry the ball. AJ Brown was spectacular last season, putting up six 100 yard games (5 of those over 150 yards). Not even a change at QB slowed him down. 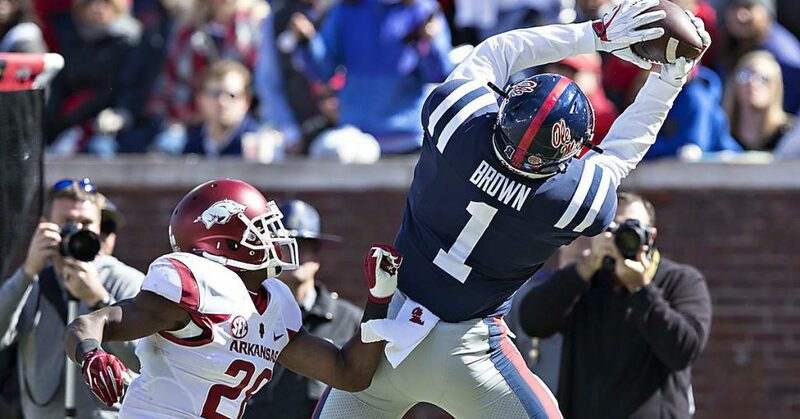 Look for Brown to continue to thrive this season. Anthony Johnson burst onto the CFF scene in 2017 with 1300+ yards and 14 TDs. He will have a chance to improve on those numbers, this year, as Buffalo’s offense will run through him. 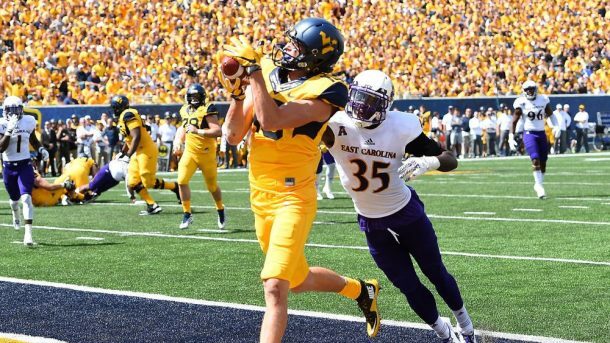 David Sills originally started college at QB, but found his calling at WR. In 2017 the 6’ 4” senior lead the nation with 18 receiving TDs. 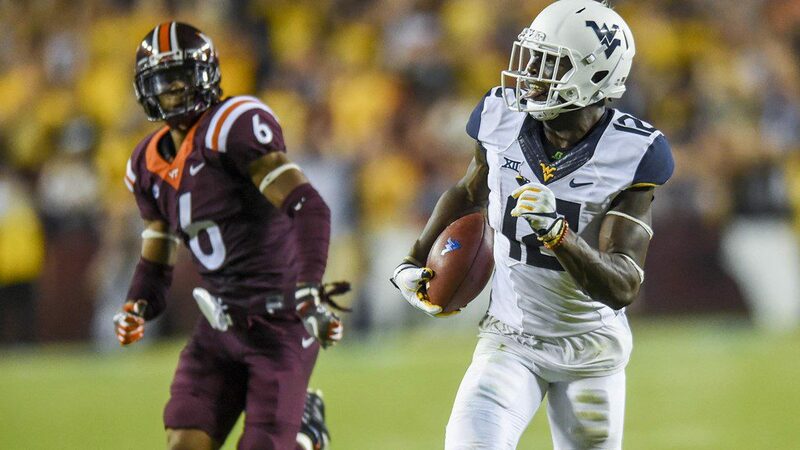 Look for more of the same this season as Sills and Will Grier lead the high powered West Virginia offense.